The true life story of two women, Maureen 'Flan' Flanagan and her best friend Violet Kray, whose influence strongly shaped the lives of Ronnie and Reggie Kray. 40 YEARS WITH THE KRAYS is the untold, intimate history of the twins and the woman who raised them. Told with humour and insight, it looks back across the decades at the life of this close knit, notorious East End family. 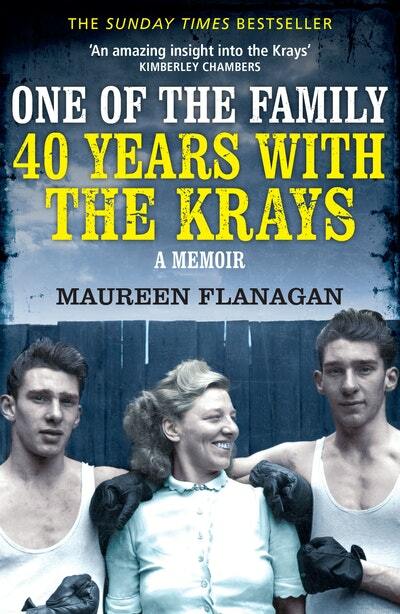 Maureen Flanagan, a then 20 year old hairdresser started visiting the Kray family home in Vallance Road each week to give the twins’ mother, Violet, her weekly shampoo and set. Over the cups of tea and the rollers and hairpins, Violet began to confide in ‘Flan’ about her life, her incredible pride in her twins, the celebrities who visited her at their humble East End home - and her troubled relationship with her husband. Love One of the Family? Subscribe to Read More to find out about similar books.